This fly started as a good deed from another angler who tied me a few flies while we were staying in San Pedro and fishing around Ambergris Key in Belize about 2000. I didn't have all the ingredients that my benefactor had used, but the substitutes worked even better than the originals. Mark's Spawning Shrimp is mighty tasty to bonefish and a host of other flats fish and to fish that live in the mangroves, such as snook, snappers, jacks and even an occasional permit. This is one fly that you can fish blind for bonefish in Belize. When the conditions are too rough for sight fishing, just work your way along a beach and cast with a floating line as far as is practical, then retrieve your fly with foot-long strips. Doubtful that you will go very far without getting a bite. 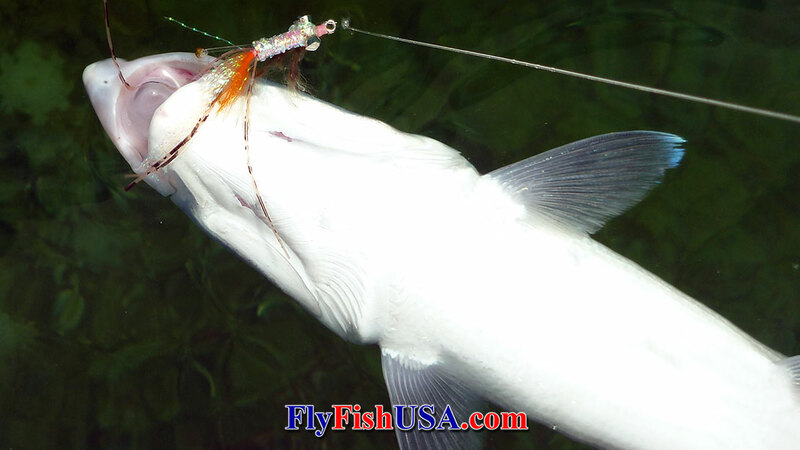 Of course this fly worked even better when you can see the fish. The Mark's spawning shrimp seems to work over many different colors of bottom as well. The only place it doesn't work is where the water is too shallow or too weedy. In 2008 a Belisian law went into effect, which made the posession of bonefish, permit and tarpon illegal for everything except catch and release. One of the unexpected benefits was that since gill netting became impractical, the snook population, which had been decimated by over-fishing rebounded very quickly. 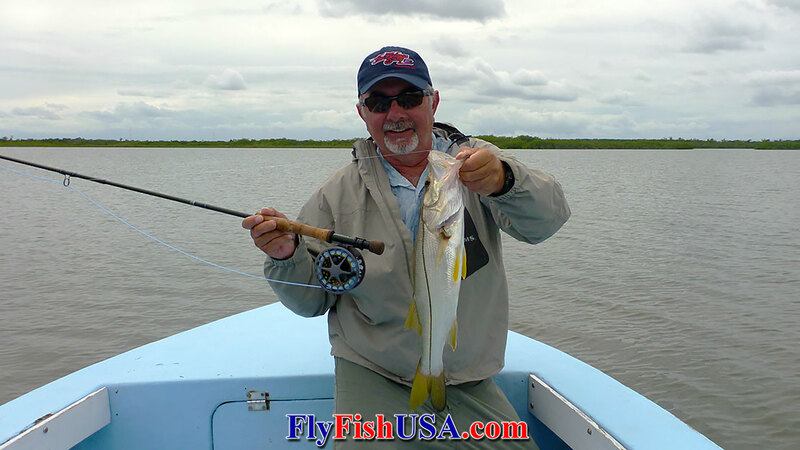 The Mark's Spawning Shrimp turned out to be a very good snook fly in Belize. At the heart of Mark's Spawning Shrimp is the wondrefully sharp, strong, and beautiful X452 Daiichi X-Point Saltwater Hook.